It's almost ready! Just waiting on a few more videos from my group members (hence the blank squares). Why was I so excited to read Role Reversal? There are a few reasons, in particular action research and Dr. Inoue's Ed. Psych class. But what it really boils down to is motivation. This past year I have observed a school culture which perfectly exemplifies Deci's extrinsic motivation. The grades and assignments are designed such that students get points for completing an often boring, low level thinking task. The more they complete the more points they get. They have lost interest in actual learning. They WANT worksheets because the worksheets are easy to complete and win points. They copy rather than think and have lost the distinction between collaboration and plagiarism. They are going through the motions of being a student rather than building an identity as a scholar. In Role Reversal, Mark Barnes offers an alternative. Most new teachers want to reform education and bring these ideas of intrinsic motivation and student centered learning into the classroom to create lifelong learners. Barnes has laid out a step-by-step instruction manual on how to do just that, by shifting the onus onto the students. This book takes the educational theories of Kohn, Dweck, and Deci and puts them to practical use, something my colleagues at USD have been thirsting for since taking that first Ed. Psych class. I strongly recommend this book to teachers who are striving to create lifelong learners. I&apos;ve finally done it! I completed the entire capital and lowercase alphabet. The photo above was done by me as an exemplar of my calligraphy. 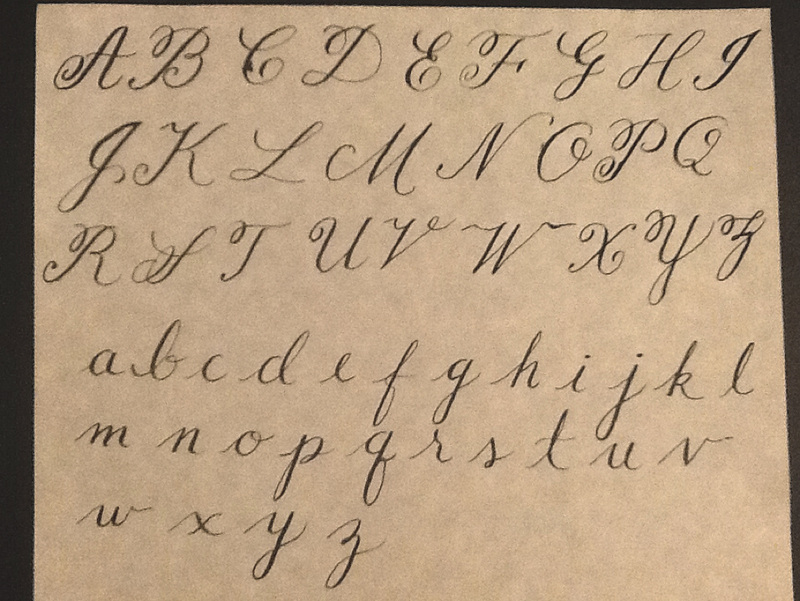 This is (somewhat) traditional Copperplate style. In the future I would like to expand my calligraphy into the more fun (and bouncy!) modern calligraphy, hopefully in time to address wedding invitations! Graduation announcements are here! Another opportunity to practice my calligraphy for an authentic audience! Better review the "practicing with precision" tutorial the Flourish Forum just posted after my last barrage of mishaps. App Slam: Socrative "Vote on Responses"
As the year winds down I'm finding it more and more difficult to tap into my motivation. I have also made some interesting observations about motivation, both in my classroom and in my own brain. Let's start with my classroom. You may or may not know that I am conduction action research on the effect of choice on high school chemistry students. You can read more about that here. One lens through which I am viewing my research is that of motivation. Will students be more motivated if they have choice? The short answer is yes, but only to a degree. What I have observed is students getting excited about topics they choose and motivated to find answers to their own fierce wonderings. However, this motivation for a project takes a back seat if grades or other deadlines are in the picture. Case in point, my students had a work day for their project on the same day they had a rote memorization test in one class (gross) and a project due in another. Instead of working on their chemistry projects (which they were so initially excited about) they were scrambling to finish the immediate tasks at hand. In this case, it appears that extrinsic motivation (points and deadlines) won out over intrinsic motivation. I've observed the same attitude in myself. The 20% project has been a struggle for me. The demands on my time are high between teaching my own classes, the stress of the multi-week application/interview process for my dream job, conducting action research, and trying to fit in workouts/yoga for my own sanity. As a result the 20% project, something that should be enjoyable for me, gets pushed to the back burner in favor of these other things with looming deadlines and consequences for failure to complete. Is this how we live our lives? Pushing aside those things that we want in favor of the demands of others? It was a sad revelation for me and makes me wonder, as long as other teachers are enforcing strict grades and consequences and administering useless tests will I ever be able to implement the type of student centered learning I want to? Or will the extrinsic motivators used by others trump the intrinsic motivation I hope to foster? As you may remember, I had switched my choice book to ROLE Reversal by Mark Barnes. 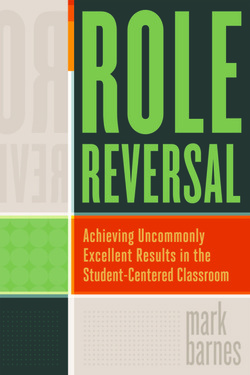 ROLE stands for Results Only Learning Environment and Barnes adapted the concept from Best Buy's Results Only Work Environment and essentially boils down to shifting the focus to student learning. Barnes frequently references the work of Alfie Kohn when describing the philosophy behind the ROLE classroom.It attempts to tap into key ideas in educational psychology including intrinsic motivation, dynamics of control (student vs. teacher), and the detrimental effects of grades and worksheets. In essence, the ROLE classroom is one that combines project based learning, student centered learning, collaboration, and 21st century skills. Here is a summary of how to transition into a ROLE classroom. Eliminate points or grades of any sort. Instead provide prompt and extensive feedback and comments. These are more informative to the student than an arbitrary number or letter. At the end of each grading period conference with the student and have them explain what grade they deserve in the class and why. Incorporate the Year-Long Project. This is something students are interested in and can work on every day, sometimes known as an expert project. They will have specific goals they are working towards. Talk Less. Replace with group discussion, mini-lessons (videos, podcasts, etc. ), then task. Build Choice into All Activities. Provide an objective for the students to share their knowledge other than convergent question assignments. Let them do a presentation, create a question, etc. Convert to a Workshop Setting. Successful workshops require interdependence, authenticity, digitally driven learning, and independence. Starting as simple as rearranging the desks into "pods." You, the teacher, acts as facilitator, coach, questioner, and partner as the students work. Integrate Technology. Blogs, social bookmarking, videos, etc. Do a 5 minute mini-lesson when you introduce a new tool. 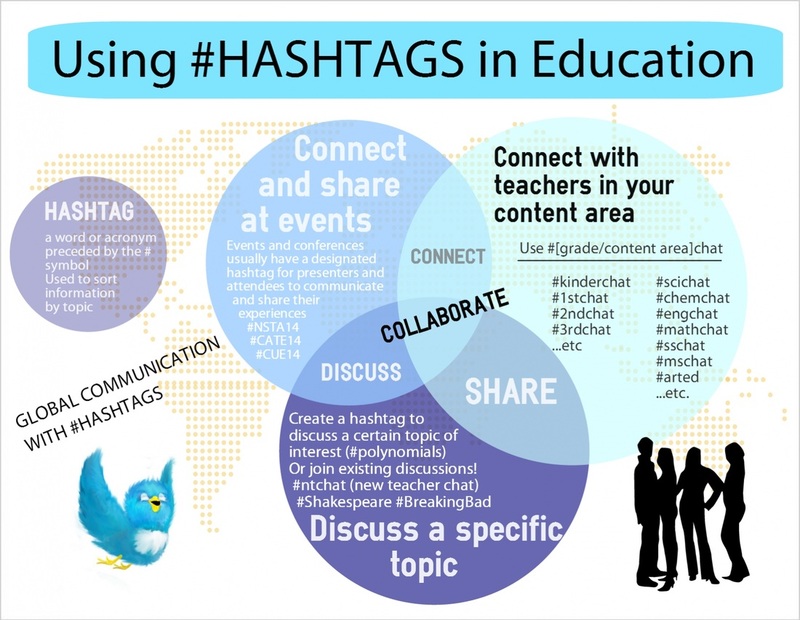 For our collaborative digital pedagogy project on Twitter for Educators, I have been assigned hashtags, link shorteners, and tweeting/retweeting. I have made infographics and some screencasts for these topics (below). I am not feeling so eloquent in the screencasts haha. To make both videos I played around with the YouTube video editor, spliced together separate clips and mostly trimmed out the part where a bunch of students came knocking on my door in the middle of recording. For the second video I did a simple Quicktime screencast. I also played around with music and title slides in the second video in the YouTube video editor.